The proper way to research a family tree is to go from the known to the unknown, from present to past. What do you do when you can’t find the known person in the records where they are supposed to be? You get creative. I am on a quest to find the baptismal record for Alexandrinha Jose for cousins. I have a ton of information on her in Hawaii and California, all of it inconsistent when it comes to her birth year. From her passport registration page, I know that her parents were Manoel Jose and Maria dos Anjos Ferreira. They are listed as being from Ginetes, Sao Miguel Island, Azores. 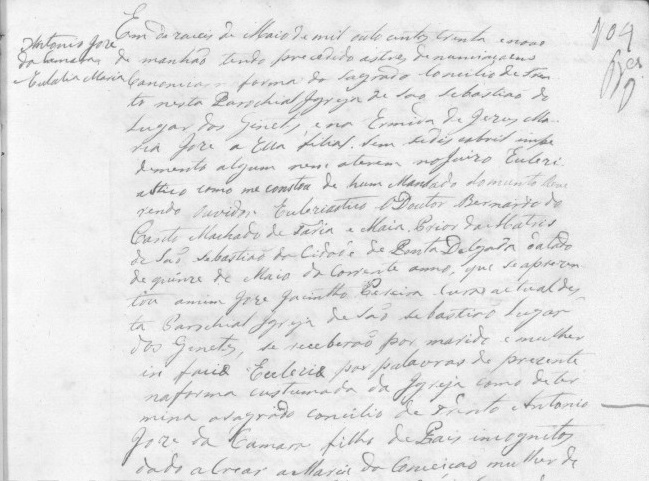 Manoel’s parents are noted as Antonio Jose da Camara and Eulalia Maria. No parents are noted for Maria dos Anjos Ferreira. The problem starts with Alexandrinha. Her year of birth varies widely from record to record. She is noted as being born anywhere from 1866 to 1877. I decided to start as close to her age on the passport record since that is the earliest record I had. I went through the baptismals in the late 1870s, but had no luck. Not knowing if Alexandrinha was the first or last child made the search even more difficult. I could have widened the scope of my search, but it seemed futile. It seemed that a better tact might be to find her parents’ marriage record, then narrow down the range of years where she might have been born. After flipping through a few records, I decided that was a bad idea. Where would I even start? Manoel’s birth was ca 1839. His parents’ names were reasonably unique, especially Eulalia! You don’t see many of them in the Azorean records. I decided to work in the opposite direction. 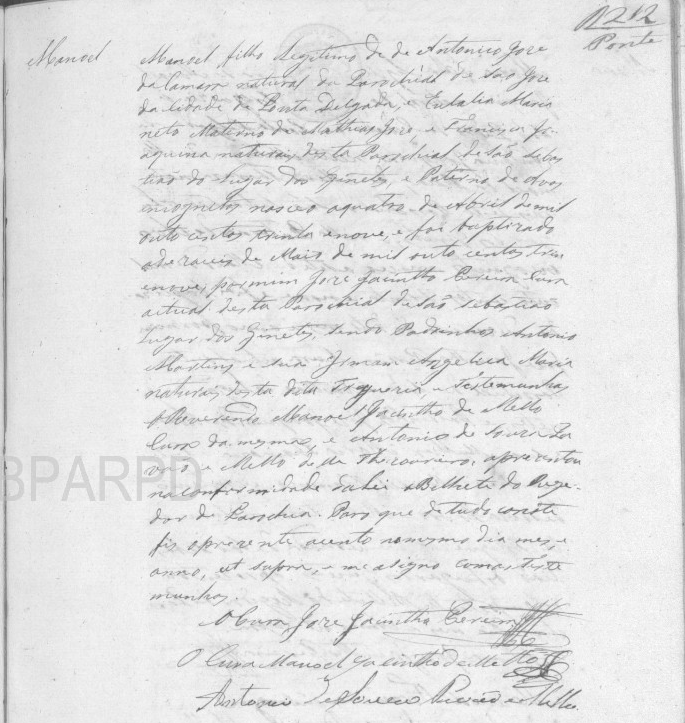 If I could find their marriage record, it might lead to Manoel’s baptismal record. Then, I might be able to narrow down when Manoel and Maria married. That would shorten the span of years I would need to search for Alexandrinha’s baptismal record. I started with 1838 and found Antonio and Eulalia rather easily. Too easy. Unfortunately for my cousins, Antonio was adopted. He was an orphan and no hint of his birth parents is given in the record. They have a dead end with that line. Using “logic” I determined the first child couldn’t have been born until 1840, so I started there. Notice I put that in quotes. I did find several children for Antonio and Eulalia–all daughters! I decided to stop at 1855. There were no new children for this couple for 5-6 years and I was beginning to suspect I was out of range. What next? I still hadn’t found Manoel. The only thing to do was to work back from 1840. Perhaps Manoel was born very early in the marriage. Or, maybe he was born before the marriage. Contrary to popular belief, good Christian folks, did have children before marriage before the modern age. There were a variety of reason from fooling around as teens to waiting for dispensation from the Catholic Church. And, that is where Manoel’s baptismal was hiding. His parents were married 16 May 1839. Manoel was born 4 April 1839 in Ginetes. Just think. 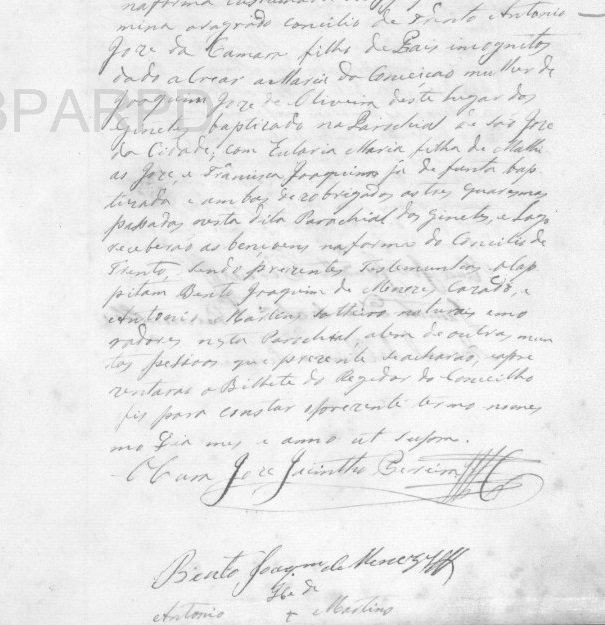 If I stuck to normal convention, I would not have found Manoel’s baptismal record. I would have stopped at 1840 and started searching in a nearby village. The search has been fruitful. I found several relatives of Alexandrinha who might provide clues to her existence. My next stop will be to find Manoel and Maria’s marriage record. I can use his sister’s names as a guideline as to whether I am in the right place and time. Hopefully, I’ll find what I am looking for and it will lead to Alexandrinha. Interested in the stories of the Portuguese Hawaiians? Mo’olelo: Oral Histories of the Portuguese in Hawaii is a great DVD to start with. Descendants of the original settlers in the islands from the Azores, Madeira and Portugal tell the stories of their ancestors.